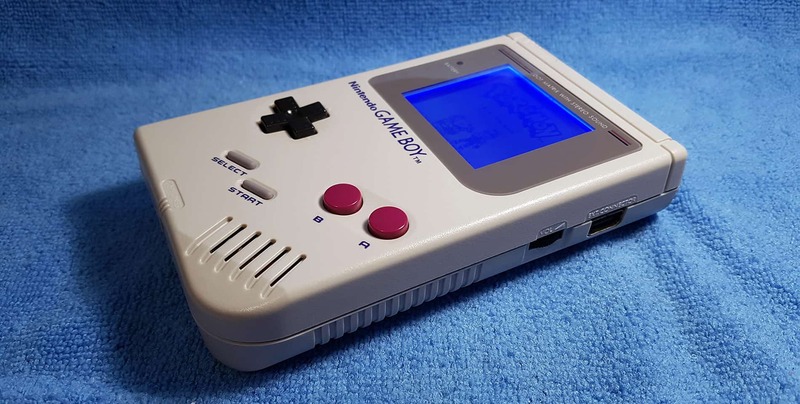 I have been modding a lot of old Nintendo Gameboys lately, but this has to be the cleanest looking so far. Actually the shell is brand new, but it’s also old. It’s a new old stock part aka NOS, something that has been stored somewhere for all these years. It’s in original Nintendo shell from the early to mid 90’s, but it has never been used, until now. It still has the original color, meaning there is no yellowing, the logo is not worn out and there are absolutely no scratches or any other marks. Lovely. White backlight screen from Deadpan Robot, which means you can play games, produce music and perform live in complete darkness. Bivert chip for improved contrast and less ghosting. Brand new gray glass screen. ProSound mod to the original headphone jack, for improved sound quality, louder volume and less background noise. Bass Boost mod for more sub bass. The thump / bass feel area below 50hz is more prominent now. This will make your tracks kick HARD when performing live. 1000 uF decoupling capacitor on the power regulator. Reduces the hiss and hum that can occur because of the backlight screen.